The loss of a loved one brings with it sorrow and grief; but at times it brings with it some other worries too. The simple fact is that funeral services can sometimes be very expensive and if you are on budget, this can become a worry for you. But why worry when you can opt for cheap funerals in Gosford from Heavens Own? We are a very well-established operator in this space and provide services for various religions and cultures. We understand that you are going through a difficult time and that you may need someone to ensure all the arrangements are planned well and that the funeral progresses without a glitch. We also know that you may require our services at an odd hour of the day or night. 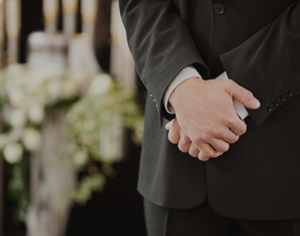 Our round-the-clock cheap funerals in Gosford services ensure you don’t have to stress about where you are going to get a credible service provider to handle the funeral arrangements. On board our team are very dedicated and supportive staff that understand that you are going through a very sensitive situation- they provide all the assistance and support they can. Our company has been in this business for a long time now and over the years we have provided excellent cheap funerals in Gosford to a number of families. With us the priority is to ensure that the service runs as planned and everything is organised just as you want it to be. We make every effort to go out of the way to ensure that the service we provide is seamless; this is our way of easing the burden from your shoulders a little. The biggest benefit of hiring our services is still the cost factor and you won’t really be able to find a company that provides such cheap funerals in Gosford. It’s important to keep in view the fact that while we maintain very reasonable pricing; we don’t cut any corners, are always communicative and provide customised attention and personalised service to all our customers. Our funeral director will work very closely with you to understand what your specific requirements are and you will get solutions that are in line with those needs. If you want to know more about our Cheap Funerals in Gosford services, you can contact us using this Web Form. On the other hand if you prefer to speak with us- you can call the Heavens Own funeral experts at this number- 02 9002 7344 and explain your requirement in detail.